Sherwood Village Apartment & Townhomes is ideally situated in the charming city of Eastampton, New Jersey. Located just 12 miles west of Joint Base Mcguire-Dix-Lakehurst, 18 miles south of Trenton, and 27 miles east of Philadelphia, we’re conveniently located for commuters, families, and everyone in between. With easy access to Interstate 295, the New Jersey Turnpike, and the Pennsylvania Turnpike, you can take advantage of short commutes for work or pleasure. But you don’t have to leave the area to have a good time. Enjoy a great meal before the area’s best karaoke at nearby John and Molly’s. Take your dog for an afternoon stroll through Historic Smithville Park. When you’re in the mood to shop, check out the boutiques and big box stores at Moorestown Mall and Cherry Hill Mall. 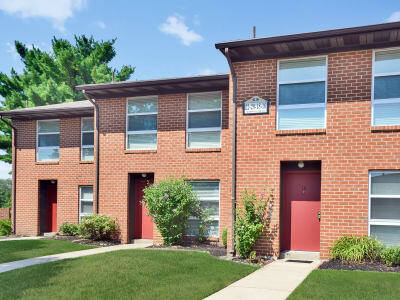 For a laidback living experience with easy access to the city, make your home at Sherwood Village Apartment & Townhomes in Eastampton, New Jersey. Call our team today to set up your tour.